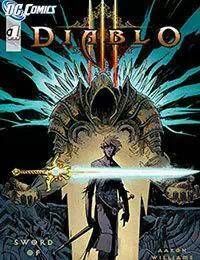 From the dark world of Sanctuary, the setting for the acclaimed Diablo game series, comes the tale of a heros birth. Haunted by his harrowing past, a wanted man named Jacob finds his destiny at the foot of a mountain shattered by the legendary sword of Tyrael, the archangel of Justice. This series is rated Teen+.